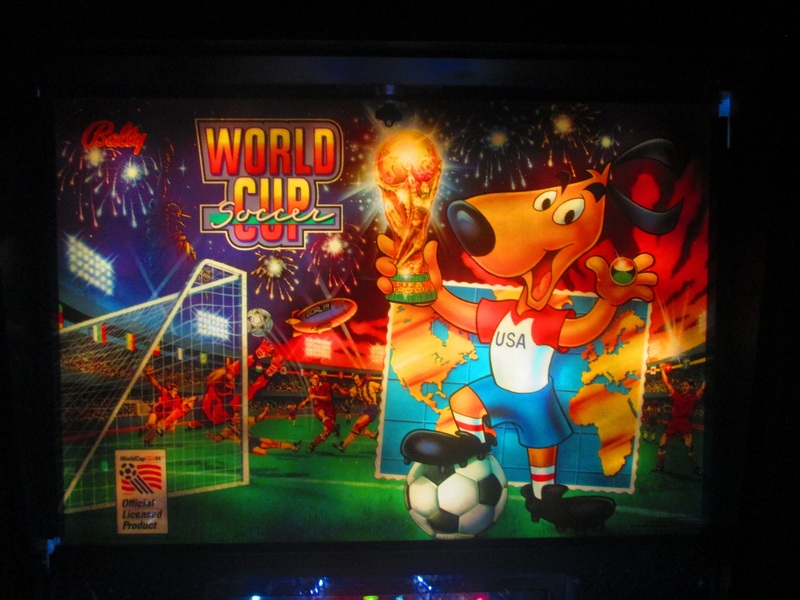 World Cup Soccer 94 is Wonderful! 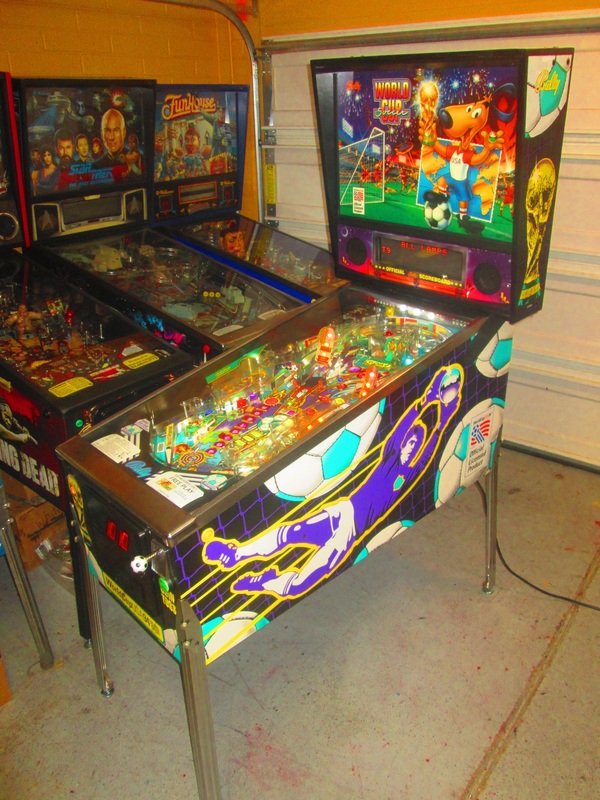 Shop Notes 20 July 2015 | Comments Off on World Cup Soccer 94 is Wonderful! 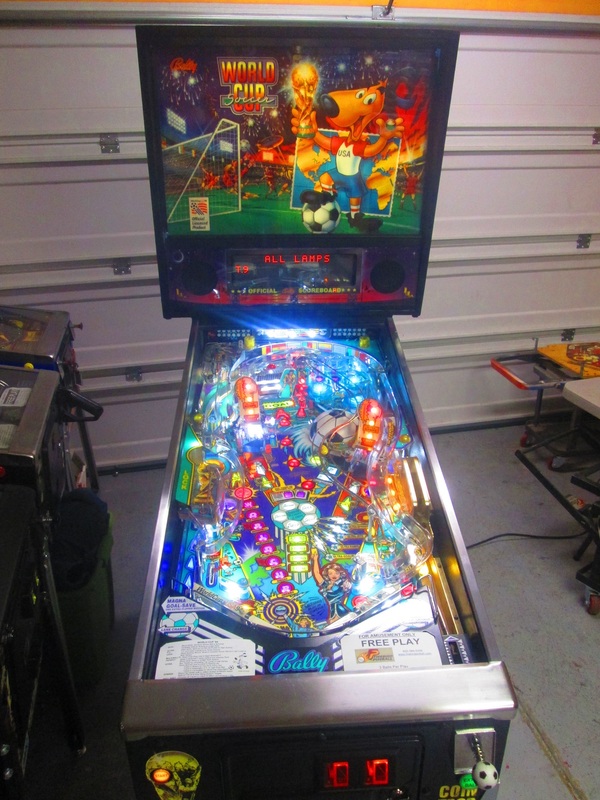 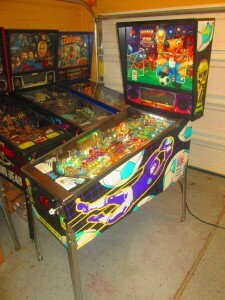 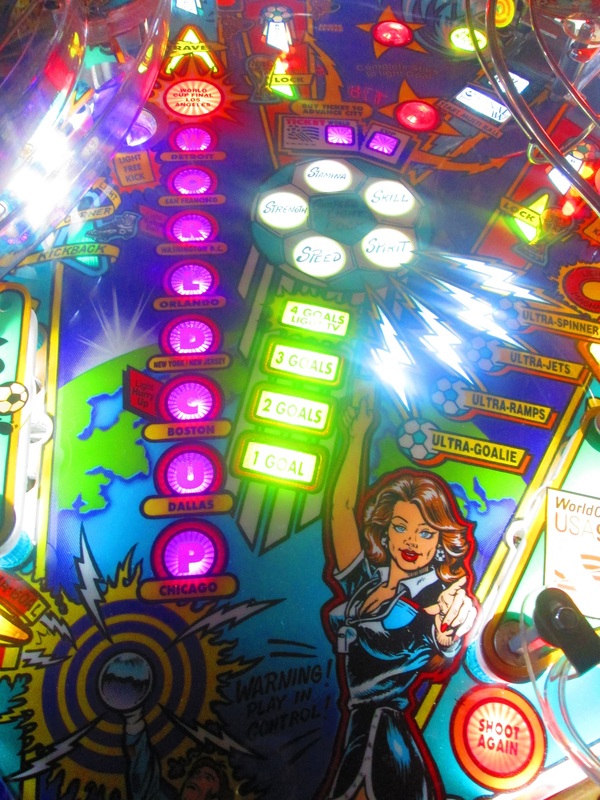 We just finished a playfield swap on this World Cup Soccer 94 pinball machine. 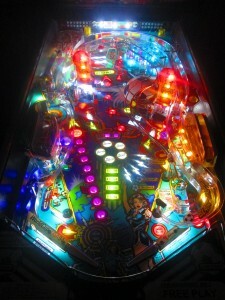 Check out the finished game! Bally came out with World Cup Soccer in 1994, and produced 8,743 games, IPDB reports. 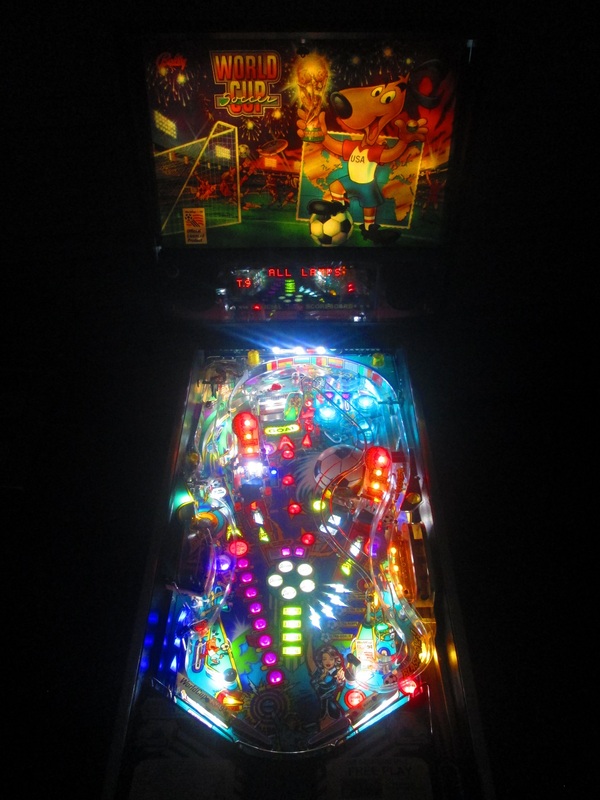 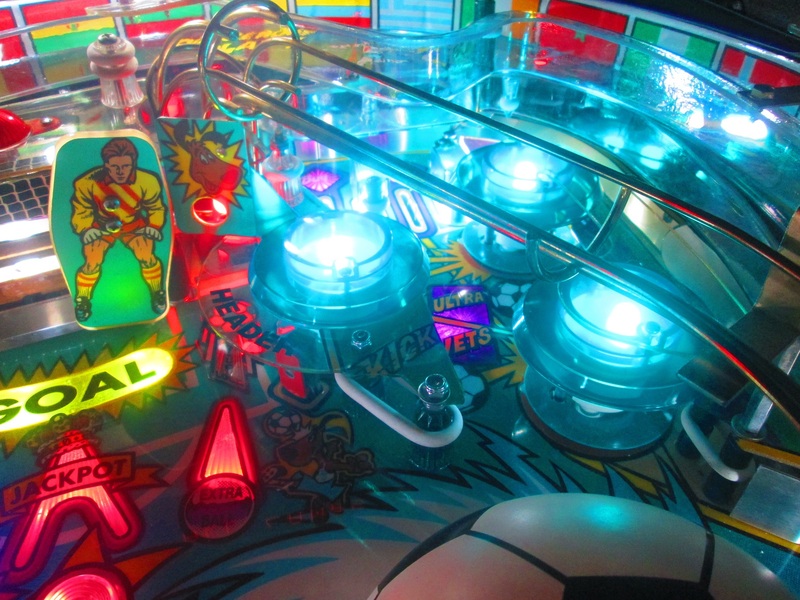 This pinball machine has some fun features, with a spinning soccer ball that throws the pinball around, Magna-Save, and a moving goalie. 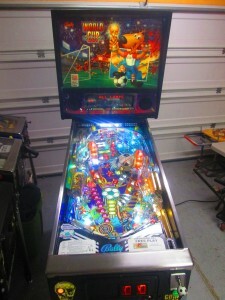 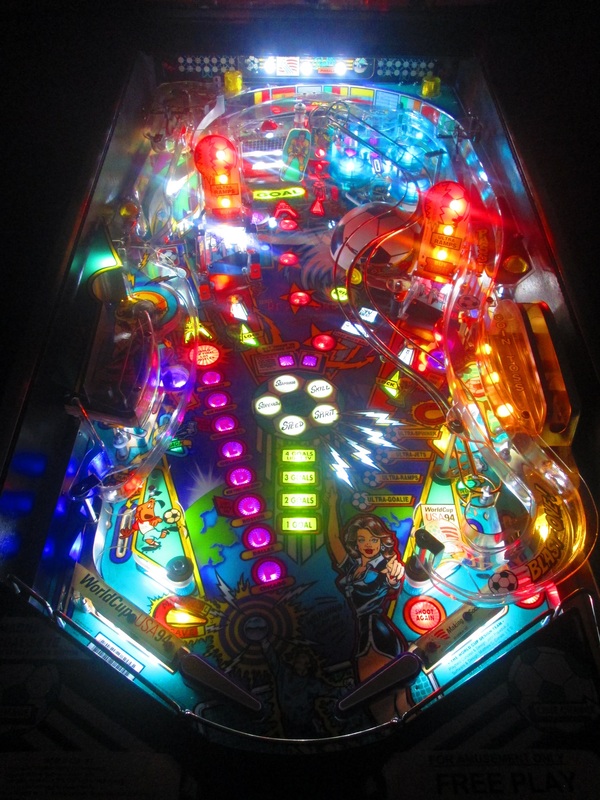 We swapped out the playfield in this game, gave it a full shop job, and fixed up a couple of spots on the cabinet too. We also installed full LEDs: insert, GI, and flashers.